Once a landless second son, Durand has sold his sword to both vicious and noble men and been party to appalling acts of murder as well as self-sacrificing heroism. Now the champion of the Duke of Gireth, Durand’s past has caught up with him. The land is at the mercy of a paranoid king who has become unfit to rule. As rebellion sparks in a conquered duchy, the final bond holding back the Banished break, unleashing their nightmarish evil on the innocents of the kingdom. 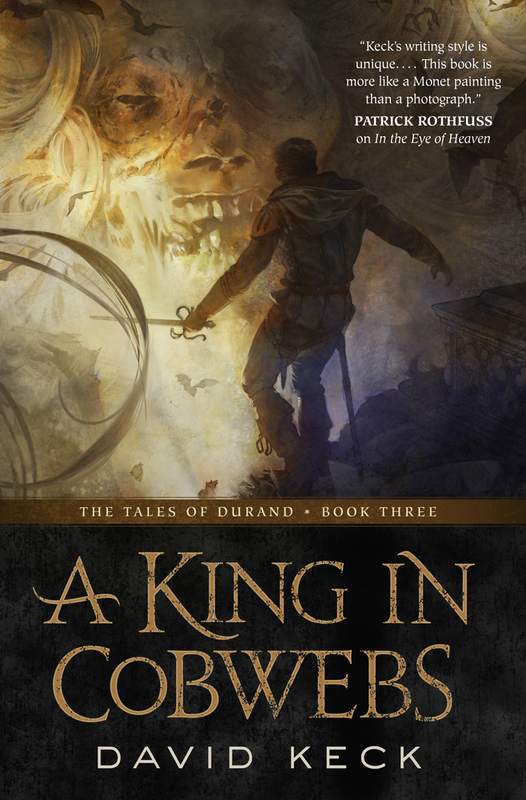 In his final battle against the Banished, Durand comes face to face with the whispering darkness responsible for it all—the king in cobwebs. DAVID KECK, author of The Eye of Heaven and In a Time of Treason, is originally from Winnipeg, Canada. Currently, Keck is a middle school teacher and cartoonist living in New York with his wife science fiction and fantasy senior editor, Anne Groell.